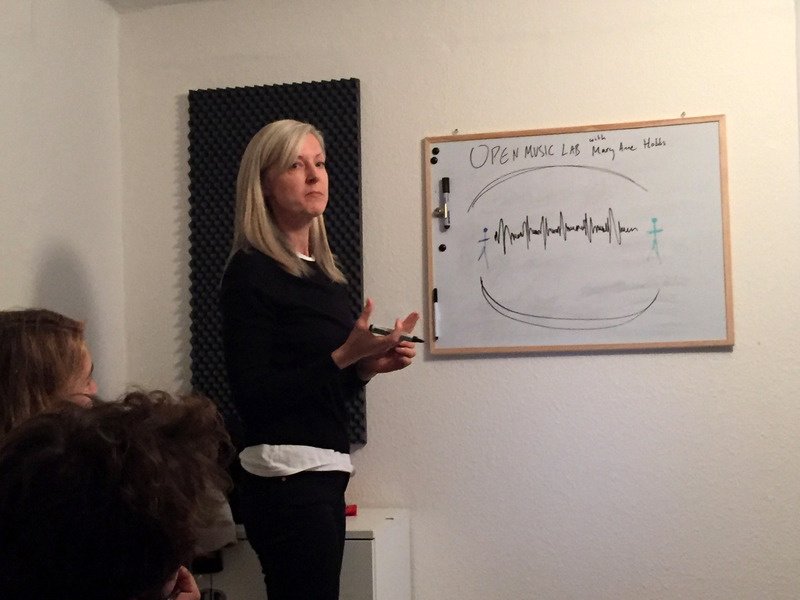 On Monday evening the GSBTB Open Music Lab was lucky enough to enjoy a workshop on radio programming from English DJ and music journalist Mary Anne Hobbs. The Open Music Lab is a weekly music production class, part of GSBTB Open Music School‘s program of free weekly music classes. Open Music Lab with Mary Anne Hobbs. 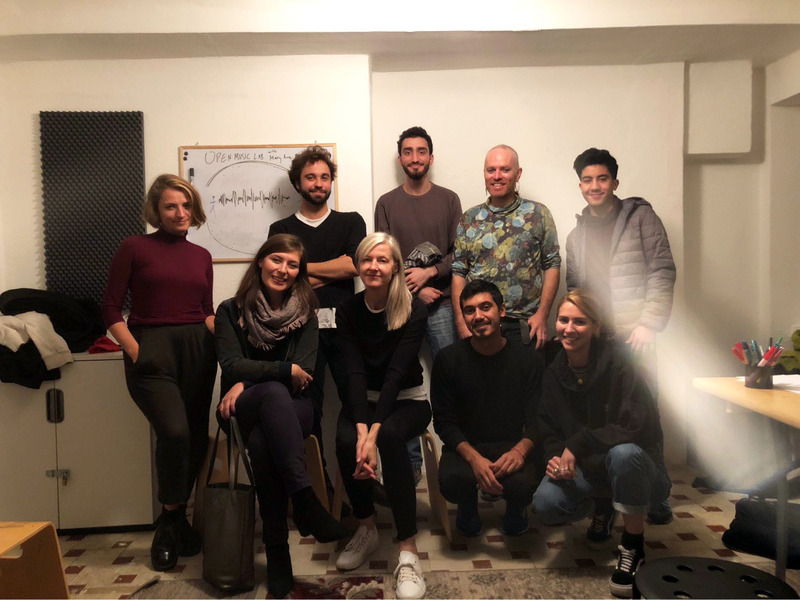 Students from Poland, New Zealand, the UK and Syria were treated to a two-hour workshop on how to make a radio program from the legendary BBC journalist known for her BBC Radio 6 shows where she curates a steady mix of fresh, experimental and often obscure tunes. The workshop began with Mary Anne guiding the students through a meditation in her instantly-recognisable radio voice, followed by a discussion of how to distill a story for radio, including hot tips like remembering to brush your teeth before you go on air to give your voice its cleanest sound. The class together with Mary Anne. Students even had time to workshop their radio program ideas with Mary Anne, a very special beginning to what we hope will be an ongoing exploration of radio production. Mary Anne, thank you for being so generous with your time and knowledge. We hope to see you again soon!